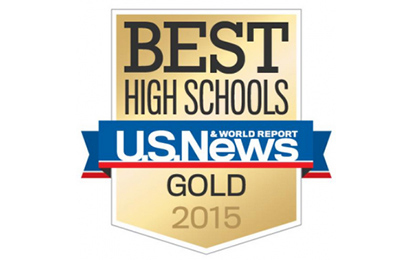 The 2015 rankings of America’s best high schools released by U.S. News and World Report include six schools here, an all-time high for the Long Beach Unified School District. The California Academy of Mathematics and Science earned a gold medal, while five other high schools earned silver. The U.S. News rankings include data on more than 21,000 public high schools in 50 states and the District of Columbia. Schools were awarded gold, silver or bronze medals based on their performance on state assessments and how well they prepare students for college. In the rankings, only the top 2.4 percent earned gold medals, and only 9.7 percent won silver. To determine the rankings, schools were first analyzed on how well their students performed on state assessments, taking into account the test scores of disadvantaged students. High schools that made it through this analysis were then eligible to be ranked nationally in terms of college readiness, using Advanced Placement or International Baccalaureate test data as the benchmarks for success.